A Jaguar always looks like a Jaguar, right? No, not these days. The Jaguar styling techniques of old have given way to new influences. Sure, the new models are stylish in contemporary terms, but in my opinion they lack that highly admired "I'm a Jaguar" look that was established over a very long period of time. The new Jaguar XJ models follow the XK and XF models with the new look. 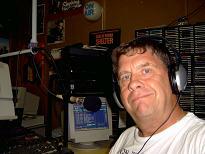 Additional models are on the way, which will continue to bring acclaim to the famous British brand. 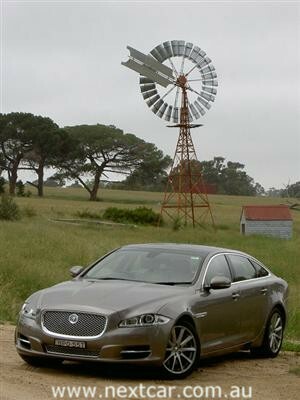 The Next Car team took a drive in the Jaguar XJ long wheelbase sedan (we mean saloon actually) fitted with the fuel efficient 3-litre six-cylinder diesel engine. 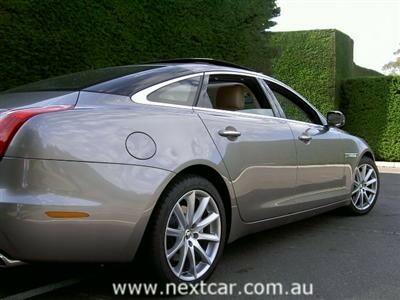 This model is known in Jaguar-speak as the XJ Premium Luxury LWB. Instantly recognisable as a large car, the Jaguar XJ LWB measures in at 5,247 mm long, 2,110 mm wide and 1,448 mm high. The wheelbase is 3,157 mm (compared to 3,032 mm for the standard short wheelbase model which measures a mere 5,122 mm in length). The kerb weight is 1,813 kg, whilst the boot volume is 520 litres. So it is quite clear that this Jag is a substantial car and it is wonderful to see Jaguar continue to present a large saloon for the world to enjoy. And that's what we did, we enjoyed it for 346 kilometres. 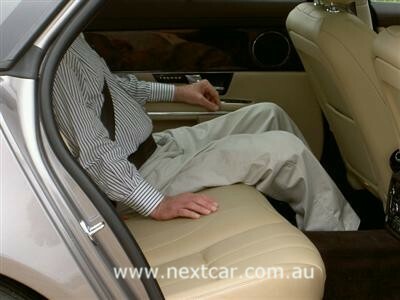 There is plenty of comfort for both driver and passengers alike in this car. 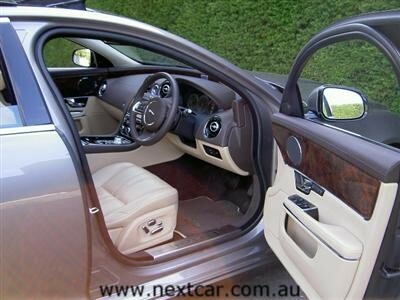 There is, just as you would imagine, plenty of room in this substantial car. Yet the physical size of the car isn't an obstacle to the driving process. With excellent steering, braking and handling the Jaguar XJ is quite a respectable car. And the ride qualities are admirable, too. But you cannot see the rear corners when you reverse, so some caution will be required during such exercises. The V6 diesel can use as little as 7.2 litres per 100 kilometres on the combined cycle. This is a remarkable figure for such a large car. Carbon dioxide emissions are as little as 189 grammes per kilometre, which is another remarkable figure given that this Jaguar is such a substantial car. The V6 engine has a displacement of 2,993 cc. Power comes in at 202 kW at 4,000 rpm, whilst the torque is rated at 600 Nm at 2,000 rpm. Be assured this is adequate power, reinforced by a factory acceleration test which suggests the XJ LWB is capable of 0-100 km/h in just 6.4 seconds (not bad for a diesel). A six-speed automatic transmission is standard. It permits manual sequential shifting if the driver so desires. The XJ is rear-wheel drive. Standard equipment includes Dynamic Stability Control (DSC), Electric Parking Brake (with the very modern drive-away release - sure beats the old fashioned release utilising manual labour), Cruise Control, Automatic Speed Limiter and the praise worthy Diesel Misfuelling Prevention Device. Safety aspects include Pedestrian Contact Sensing, remote control central locking (features deadlocking and drive-away locking) and six airbags (front and side - driver and front passenger - and side curtain). Convenience features include lane changing indicators, power boot lid (open and close - another great labour saving device), rain sensing windscreen wipers, headlamps (automatic Xenon, with washers and front LED signature lights), heated exterior rear-view mirrors (electric adjustment, power-folding, auto-dimming with courtesy puddle lamps and memory function, tail lamps (LED), solar attenuating, hydrophobic and acoustically laminated glass, front and rear parking aid (includes touch-screen visual indicator), automatic headlamps, soft grain leather seats (heated - front and rear - with memory function for front seats), soft grain leather heated steering wheel, front and rear electric windows with one-touch open/close and anti-trap function, panoramic glass roof - tilt/slide front section with electric blinds, steering column with electric adjustment for height and reach with entry and exit tilt-away (excellent idea), interior rear view mirror with auto-dimming, front centre console with illuminated stowage, auxiliary power socket and armrest, rear window sunblind (electric), four zone automatic climate control with air filtration, humidity sensing and four zone temperature control for driver, front passenger and independent control for left and right rear passengers, keyless entry and rear side window sun blinds (manual). But there is so much more, so this Jaguar is quite well appointed. And, just quietly, you wouldn't expect anything less. A disappointment with the Jaguar XJ is the lack of a reversing camera as standard equipment. 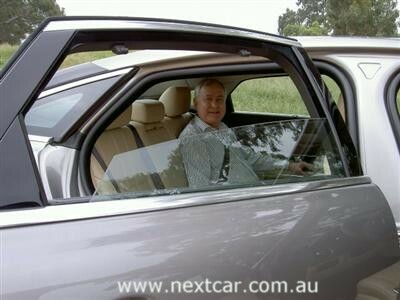 The XJ is a big car and it needs a camera rather than a beeper to assist with reversing manoeuvres. But that is our only issue with this car. Sure to be a rewarding experience for all occupants, the Jaguar XJ LWB saloon is a particularly welcome addition to the prestige car market. It's another great move by Jaguar!